Prof. Claudio Sillero DPhil was born in Argentina. A committed conservation biologist, he graduated in Zoology and obtained a DPhil (Oxford 1994) on the behavioural ecology of the Ethiopian wolf. He is internationally recognised for his work in carnivore conservation projects across four continents. One of his greatest contributions to conservation is his work to protect the the Ethiopian wolf, a critically endangered species. He is the Founder and Director of the Ethiopian Wolf Conservation Programme, Head of Conservation at the Born Free Foundation, and holds the post of Bill Travers Fellow for Wildlife Conservation at Oxford University, supervising its projects worldwide. Claudio is Deputy Director of WildCRU – part of the University of Oxford’s Department of Zoology, The Wildlife Conservation Research Unit is a pioneering, inter-disciplinary research unit in a world-class academic centre. It underpins solutions to conservation problems through primary scientific research of the highest calibre. Claudio has become increasingly interested in ensuring the economic and social well-being of the human communities that need to co-exist with the carnivores. 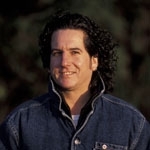 He is a passionate sustainable conservationist, actively committed in mitigating wildlife-human conflict through his personal initiatives, which focus on building partnerships with communities to develop methods of conflict resolution. Claudio is also active in several IUCN Specialist Groups and runs the Satpura Landscape Tiger Project in central India and the Andean Cats and Transfrontier Conservation Project in South America. He has been Chair of the IUCN Canid specialist Group since 2004, the international body responsible for the conservation of wolves, jackals, dogs and foxes. In this role he has supported many field projects and co-edited the IUCN Canid Action Plan and a book on wild canids. 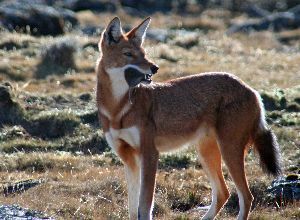 He is Director of Ethiopian Wolf Conservation Programme. He is one of a handful of dynamic, remarkable and passionate individuals who are actively helping the survival of endangered species. His personal dedication and relentless work in the field, in research and in raising funds and awareness is highly commendable. To travel with Claudio and see him work, observe what he has achieved and share in his passion is truly inspirational and a life-shifting experience. We have been fortunate to work with Claudio since 2004 on joint-conservation safaris with Born Free Foundation to India, to see jaguars in the Pantanal in Brazil and to watch wolves in the Bale Mountains of Ethiopia and observe his ground-breaking field work that is helping the long term survival of this endangered species. The wolf watching trips financially support the on-going work Claudio and his team do at Ethiopian Wolf Conservation Programme (EWCP). 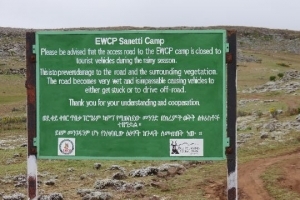 12th - 20th November 2019 A special fund-raising trip that helps play a key role in sustainable conservation of Ethiopian wolves and financially supports the on-going work of Ethiopian Wolf Conservation Programme. See conservation in the field, observe wolves close up and explore the spectacular Bale Mountains. A unique opportunity to spend time with Prof Claudio Sillero, Director of EWCP and the wolf monitors.